In this article, I will be discussing how to become an affiliate marketer without a website. Now, why would anyone want to market without a website? There may be reasons why. Through direct linking, you can join affiliate programs just like you do when you have your own website, create ads for their products and send those that click on your ads straight to the merchant’s site. Google AdWords does not allow this; however, MSN adCenter and Yahoo Search Marketing do. Without further delay, I will outline the necessary steps for you to become an affiliate marketer without having to build your own website or domain. The very first thing that you want to do is perform your keyword research. This will help you complete two very important tasks. Find your niche and the product or services that you are going to target. You must do the research first, it is imperative. You must be sure that the keywords that you select to target are in a market that has a lot of traffic with low competition. You need to have access to a keyword research tool for this. I highly recommend the Jaaxy keyword and research tool. Not only will this tool help you target the specific market, it will also help drill down to those keywords that have low competition. Click here to check out my Jaaxy review. Also, you can try out researching your keywords right here below. You want to search for keywords that have high traffic and a low QSR. The QSR is the number of websites on the web that are competing for the same keyword. When using Jaaxy, the QSR should be below 100. You must master your keyword research strategy to be successful. Since you will not be using your own website and be driving traffic directly to the merchant your keywords are the life-blood of your campaign. 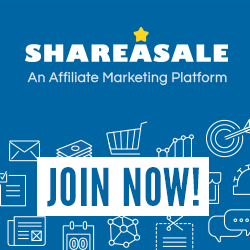 I have to say that I prefer affiliate programs like Community Junction and Shareasale because you have access to thousands of products/services run on one platform. Check out my article about affiliate programs for beginners for more information on affiliate programs that are relatively easy to join. And of course, they are free! You can also search on Google for affiliate programs. The next step after you have been accepted to an affiliate program would be to start promoting your affiliate products. You will want to start following blogs and forums that are relevant to the products and services that you are promoting. One thing is very important; don’t just start dropping your affiliate link with comments that add no value to the discussion. Chances are that you will get banned for spam. You will want to be a regular, trusted visitor or member. Trust is usually not built overnight, it takes time. With this method, you would leave the affiliate link in your signature. If you are a respected member of the forum people will be more inclined to click on your link. Be sure to review the member policies to be sure that you can leave affiliate links. Some forums do not allow it. However, there are some forums or discussion groups that allow you to leave affiliate links in the signature box. This signature box is displayed each time you write or reply to a post. To write an eBook you will want to choose a topic that you are comfortable and knowledgeable about. The eBook should have at least 30 pages and ensure that the content is valuable to your readers. You will insert your affiliate product links into the eBook. You will have to distribute the eBook by whatever means necessary. You can give it away, sell it on eBay for a small charge, or have someone else put it on their website. It is imperative that your book is helpful and informative or else no one will pay attention to what you are promoting. You must build trust with this eBook. Another strategy that you can use is to write reviews or ads on classified websites. I’m sure you are familiar with websites like Craigslist. Consider placing ads and reviews for the affiliate products that you’re promoting with your affiliate link. A great strategy that you can use to promote your affiliate products without a website is to create a Facebook profile/page. The awesome thing about this is that you can promote your affiliate products and leave your links right there in your post. Of course, you will have to have a following of friends for this method to be useful. Thankfully, it is extremely easy to build a friends list exponentially with Facebook. The rest is up to you. You can create informative product reviews, posts, discussions, and instructional videos to promote your products; while leaving your affiliate links along with whatever method of your choosing. A hub is like a one-page mini website. Here you can talk about any topic of your choosing. The hub site takes care of the hosting and you don’t need to know a thing about designing websites or domains. You can make your hub look professional by answering a few questions. Then you can insert reviews, ads, and any other content that you wish. This is as close as you can get to having a website without having to deal with driving all your own traffic to it. I highly recommend promoting your affiliate programs with the use of this method. To get started with Hubpages you can click here. Quora is a platform where you people ask questions that you answer; only if it is a topic that you are familiar with. This would be the perfect place to drop your affiliate link. Here, you are held to a high standard so definitely do not spam here or you will be kicked out of the community. It is important that you become a respected member of this community by answering as many questions as you can. Build out your profile thoroughly and answer away. After you have over 50 unique visitors and 30k views you are an established member. I would recommend not posting any links until after this point. Be sure to post high-quality answers and truly try to help others. You can click here to sign up for Quora membership. Well, that sums up my recommendations on how to become an affiliate marketer without a website. As you can see, most of the above strategies are not those that will happen overnight. Affiliate marketing is hard work; however, it will pay off. If you have any further questions or comments please leave them below. If you have anything that you would like to add please do. Thank you for taking the time to read my article and good luck! Hey this is a really good article, i think it is important to have a website for affiliate marketing even though you dont need one. There is a lot more traffic out there by getting ranked on google and all the other search engines. I dont believe that posting links gets that high of a conversion but you did make a lot of strong points. I have used some of them methods as well. Hello Justin. I am glad that you enjoyed my article. I agree that your earning potential is a lot higher if you have a website than if you don’t have one at all. However, there are some people that do not have a computer, cannot afford one, or find maintaining a website overwhelming, so there are choices for everyone. Personally, I have 2 domains and I think it is easy to set one up. You can start your own website in under 5 minutes with Siterubix. You can also use Weebly or WordPress which are also very popular. There are many other options available; the skys the limit. Thanks for taking the time to read my article and leave a comment. Wishing you much success with your business. I agree that yes it definitely is possible to be an affiliate marketer without a website. It is harder…. but it certainly is possible. People can enter the making money online market at any point that they feel comfortable with. I think it’s great that you came up with so many great opportunities for them to explore. I think that writing ebooks and doing guest blogging is a great place to start. I haven’t done to much with Quora, but it would be interesting to start there. Hello Glenys. Yes it is a lot easier to market with a website but possible to do so without. I am glad that you enjoyed the article, I just want to educate people and let them know that there are many different ways to get started without a website. Quora is a great place to start with and without a website. I highly recommend that you try it. Thank you for taking the time to visit and leave a comment. Best wishes.